Do Ayr risk bringing on Shankland ? What a great second half that was ! Austin becomes the striker wev been crying out for what a result surely no way back for Ayr now! Aaaaargghhhh the kiss of death!!! It was because we were 3-0 down at half time......................hope we go for it second half and do not sit in and invite problems. This is the kind of stuff we are capable of,even though Chick Young says it is absoluteley astonishing and hard to believe. Come on lads give Mr Young a full time report to choke on. 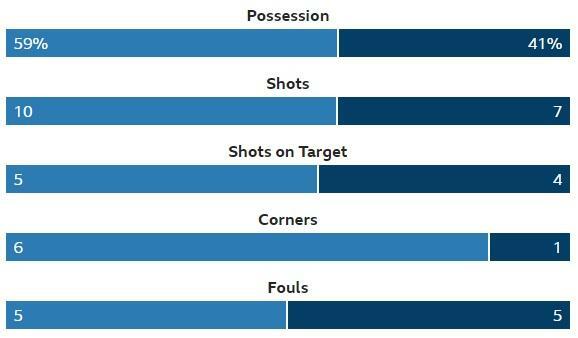 The worrying thing is the BBC stats. We can't keep offering hope. Pressure mounted as they look for a way back in. Good test of keepers character today. Interesting to see how robbo reacts...I don't think we can park the bus and get away with it. Hit them on the break. As an aside, a Dobbie hat-trick has Queens 3-0 Dundee in the cup.